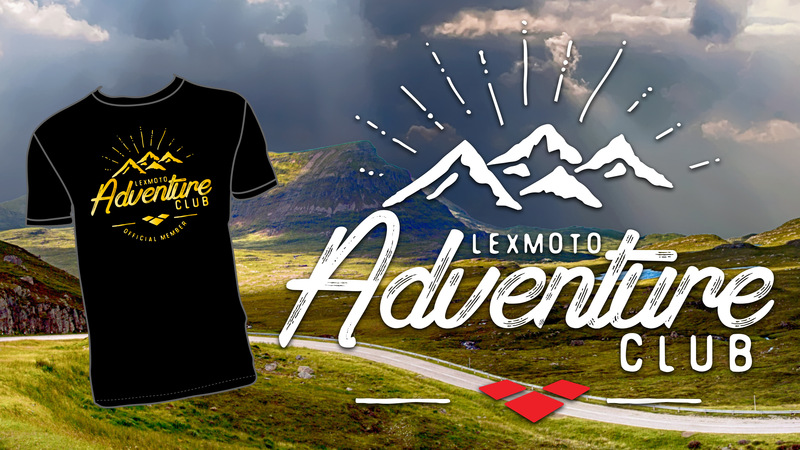 Whilst we were at Motorcycle Live last year, we announced the launch of the new Lexmoto Adventure Club! With the weather teasing more glorious sunshine, now is the perfect time to go on an adventure and to join our club! The Lexmoto Adventure Club is the new group for those taking adventures on Lexmoto bikes. Be it travelling from Land's End to John O'Groats or navigating the Pyrenees, join our club for exclusive goodies (including an exclusive Lexmoto Adventure Club T-Shirt) and of course, bragging rights! The Adventure club is open to those who have undertaken a trip on their Lexmoto bike or scooter that has either spanned multiple countries or has been longer than 300 miles in length from start to finish. If you have completed a trip that meets the above criteria and want us to share your story then contact us using the form on the dedicated page below with a brief outline of what you have achieved and we will be in touch to discuss your trip further. You can also read about the other adventures we've shared so far!